The SouthCoast combines the best of New England in one convenient package. 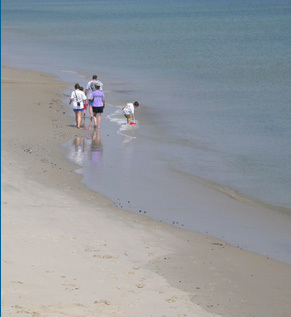 Plentiful community beaches welcome visitors, including the expansive Horseneck Beach State Reservation www.mass.gov/dcr/parks/southeast/hbch.htm and family-friendly Demarest Lloyd State Park. Historic forests www.mass.gov/dcr/southeast.htm with hiking and biking trails can be found throughout the region including the Freetown State Forest and Massasoit State Park. Many communities offer fine golf courses and the SouthCoast’s Buttonwood Park Zoo www.bpzoo.org has been named one of the finest small zoos in America by the Association of Zoos and Aquariums.